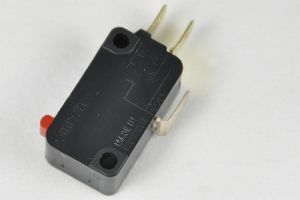 MS298 Microswitch for use in microwave ovens. 16 amp button microswitch for use in microwave ovens. Three terminal microswitch enabling use as a normally open, normally closed or changeover switch. Rating 16 amps at 240 volts AC.